Like a star running back that tripos and falls over his shoe laces on the way to the goal line and a certain victory, the United States is making nothing but misteps in the world’s economic view. The U.S. Congress should have taken pause when China’s Premier Wen Jiabao expressed concern not to long ago. But instead of wise deliberations and the leadership expected from the world’s longest lasting democracy, the world is seeing who we have really become: A group of TV mezmerized numbskulls with self-seeking as our life goal. Obama adulation has been replaced by scepticism and fear that the United States has joind with Mexico, Venezuela and others in a socialist downward spiral that will become better at the reistribution of wealth than the creation of new and vibrant wealth. A $14 trillion economy hangs by a thread composed of (a) a comically cynical, pitchfork-wielding Congress, (b) a hopelessly understaffed, stumbling Obama administration, and (c) $165 million. And there is such a thing as law. The way to break a contract legally is Chapter 11. Short of that, a contract is a contract. The AIG bonuses were agreed to before the government takeover and are perfectly legal. Is the rule now that when public anger is kindled, Congress will summarily cancel contracts? Even worse are the clever schemes being cooked up in Congress to retrieve the money by means of some retroactive confiscatory tax. The common law is pretty clear about the impermissibility of ex post facto legislation and bills of attainder. They also happen to be specifically prohibited by the Constitution. We’re going to overturn that for $165 million? 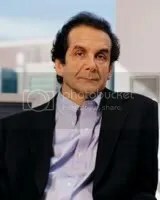 You are currently browsing the archives for the Krauthammer category.